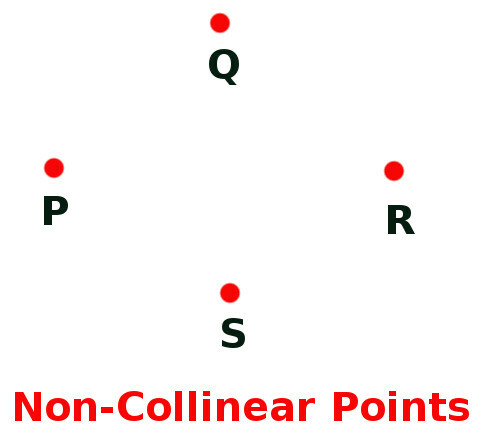 Below diagram represent, Non-Collinear Points P, Q, R & S.
Hence they are called Non-Collinear Points. Demonstrate how three non-collinear points, when joint together, makes a polygon, and name the resultant polygon. 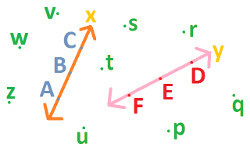 In the following diagram, mark collinear and non-collinear points. 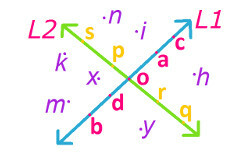 Mark three non- collinear points X, Y and Z in such a way that they form a triangle. 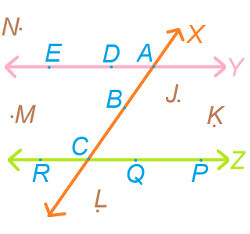 Mark four non-collinear points a, b, c and d in such a way that they form a closed figure. And name the closed figure thus formed.